Best Oil Additive Reviews: Only Top On The Market in 2019! How To Find An Affordable and Reliable Oil Additive? There is an ongoing discussion as to whether oil additives are useful or determinable to the engine, and this comes in lieu of the fact that automotive manufacturers do not tend to promote the addition of additives. The rise of the oil additive is not new, it started way back in the 19th century when oil was being used in heavy machine industry and when the onset of the automobile hit the market, it took only three decades before oil additives started to emerge to help clean up engines from carbon and other particulate gunk that would accumulate, as well as additives designed to help oil perform better in cold and hot weather conditions. Today there is a whole plethora of oil additives with a scientific approach explaining why adding such formulations are important to improve the performance of the engine, clean out engines, and make engines operate in adverse conditions. Viscosity, Lubricity, Chemical Control, Contamination Control, and Oil Seal Protection. Many of these products overlap different functions, but there is a definite gap between each category and here are the definitions of each one. Viscosity is the thickness of the oil, and this changes under different temperatures. Essentially, the colder it is, the thicker the oil flows, and eventually, the wax in the oil solidifies, creating a “gunk” and impending oil flow just like cholesterol in the arteries before a heart attack or an aneurysm. Certain additives reduce this problem, as well as improve viscosity when it becomes too thin at higher temperatures. Lubricity is how the oil coats the surfaces that come in contact with each other. When two metal surfaces come in contact, they create friction, and therefore a surface treatment such as molecular level Teflon, carbon, silicon, wax and more coat these surfaces and prevent the metals from creating friction. However, these particulates do accumulate into gunk too and require cleaning. Among this range are Zinc dialkyl dithiophosphate (ZDDP) which are used to surface the metal contact points lightly. Oil additives that specialize in chemical control are called engine maintenance additives since they clean up issues such as gunk and such. They are used as an alternative to washing/cleaning the engine and moving parts when changing the oil. As such, chemical control aspires to assure a cleaner engine between less frequent oil changes. Among this range are rust-inhibitors. These are a focused group of additives that aspire to prevent the formation of “gunk” in the first place and disperse various impurities in the oil, such as carbon. They also provide anti-foaming and anti-misting options. Essentially these are oil additive to stop leaks or act as seal crack protectors, either way, their job is to prevent oil seal issues. Engine oil comes in a number of formats; these are mineral, highly modified mineral, synthetic or hybrids. Mineral oils are essentially biological and are made of complex hydrocarbon chains. As such, they produce carbon as a byproduct when burnt. Highly modified mineral oils are the same oil base but gone through an extreme refining process to clean out as much of the impurities as possible. Synthetics are lab produced, and these come in various formulations based on silicone and other elements. Diesel and Gasoline engines use different oils, and the age of the engine is also a factor in deciding which oil and the oil additive to use. Now let’s take a look at some of the best oil additives for older engines, including diesel oil additives and the variants used to stop smoke reduce noise and add life. Lucas Oil Stabilizer is a mineral product formulated to reduce friction, heat and wear in all types of engines. Lucas oil is added to engine oil to act as a viscosity performance upgrade. It reduces the operating temperatures of the oil as well as contains substances to prevent seal leaks. This additive works with synthetic, ATF and mineral oils. According to the literature, the addition of Lucas oil stabilizer will increase oil life by 50%, thereby reducing the need to change the oil on a more frequent basis. It also eliminates dry starts and helps to maintain pressure by providing a seal for seals. In real life, this additive does provide some performance improvements, especially when you try it on a racing or performance engine and you want to coax out as much power as possible. Use 1 quart of Lucas Oil Stabilizer per gallon of oil, or as a 25% ratio of Lucas Oil Stabilizer to engine oil. In heavy-duty transmissions increase the ratio of up to 50% if required. To stop the noise, apply equal amounts of oil and Lucas Oil Stabilizer. Sea Foam is a chemical control substance that when added to engine oil acts as a mild detergent cleaning and preventing the formation of gunk. Based on performance on and off the road, one can of Seafoam work wonders on a diesel or gasoline engine. This product is used to clean engines and is not a viscosity or lubrication additive. You use this to clean out the engine if you feel the performance and exhaust are underperforming. This product should be added as one or two cans in the fuel tank (minimum 16 gallons) for every 2,000 to 5,000 miles. Once it mingles with the fuel, it comes in contact with the combustion chamber and starts to dissolve the residues that have formed and acts as a residual inhibitor too. There are many conflicting reviews on Sea Foam. However, the confusion that most have is based on application. Seafoam, when used as a detergent to flush an engine works. If you try to use it as a basic additive for cleaning the engine while driving, I will reconsider the steps you take. Note in the application section what the manufacturer states, and consider if that sounds reasonable to you, or not. 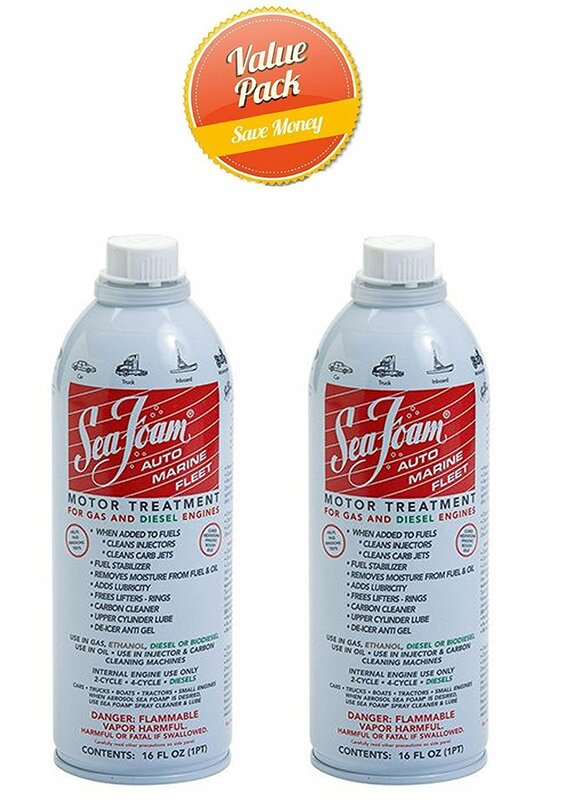 Apply one can of Sea Foam Motor Treatment to 16 gallons of gas or diesel fuel. If you need to clean a very dirty engine, then use more Sea Foam Motor Treatment, the greater the ratio of Sea Foam Motor Treatment to fuel the better it will apply. If you need to stabilize fuel storage, add 1 ounce of Sea Foam Motor Treatment per gallon of fuel. You should apply 1 to 2 cans of Sea Foam Motor Treatment every 2,000 to 5,000 miles. Bestline is a ZDDP free additive that acts as a chemical detergent cleaning out acids and sludge are in the engine block. 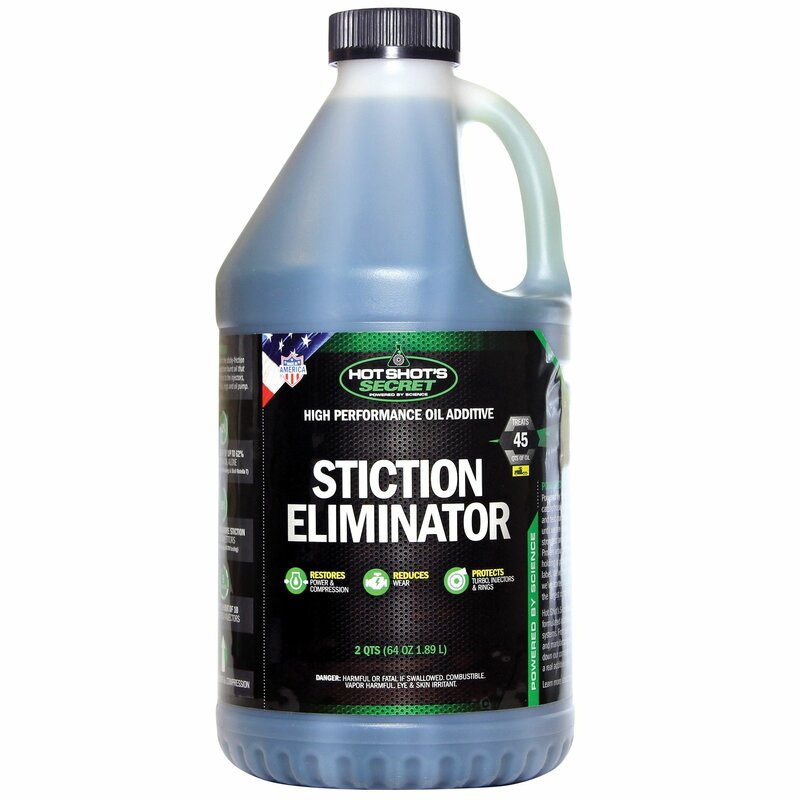 This product is added every oil change and acts as a chemical cleaner that gives the oil better performance without the use of ZDDP. The additive acts as a sludge and residue inhibitor and also combats acid formations. This is a detergent for cleaning out engines, and I would only use it before flushing an engine at an oil change. I am not a great believer in running around with soap in the oil, no matter how much literature the manufacturer blasts me with. For car and truck Engine Oil Treatment apply a 10% ratio mix ratio, which is one 16oz bottle for every 5 quarts of engine oil. You must first add 4.5 quarts of your regular oil and only after, add one 16 oz bottle of BestLine Engine Treatment. For racing and performance engines increase the ratio to 20% of BestLine Engine Treatment. For motorcycles apply a 10% to 20% ratio which is around half a standard bottle or 8 ounces for every 2.5 quarts of engine oil. 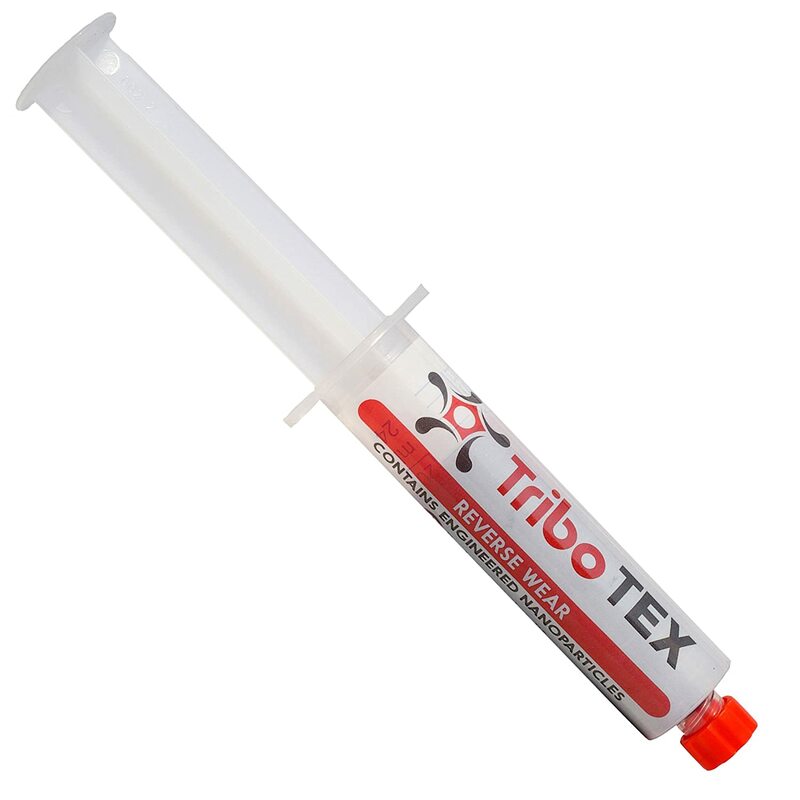 TriboTEX is a viscosity treatment that lines the sides of the components with nanomaterials. TriboTEX claims to fill in micropores with materials that act as the metal surface. It also lines the metal surfaces with nanofilm of material that claims to reduce the friction by up to 10 times that of standard engine oil. Other tests provided by the manufacturer claim that the overall fuel economy and performance of the car increases due to less friction, and reduces the engine noise as well. The nanoparticles fill in pores up to 40 microns or .0016 inch. To use this product, you apply one 20ml syringe into the oil compartment, and it takes about 500 miles for the additive to take full effect. TriboTEX is an engineered product that doesn’t go out of its way to replace oil, and it’s an additive, a highly effective one that comes in a small package and it works. This is a Nano product, as such, it does coat the parts that cause leaks. To apply Tribotex, you need to inject all of the 20ml content into the oil compartment and then drive 500 miles for it to take full effect. You must use TriboTex once every 40,000 miles or once every 10 oil changes. One 20ml application is good for 3-8 quarts of motor oil. ZDDP MAXX is, as the name claims, a Zinc dialkyl dithiophosphate (ZDDP) additive that provides lubricity to the performance of the engine. 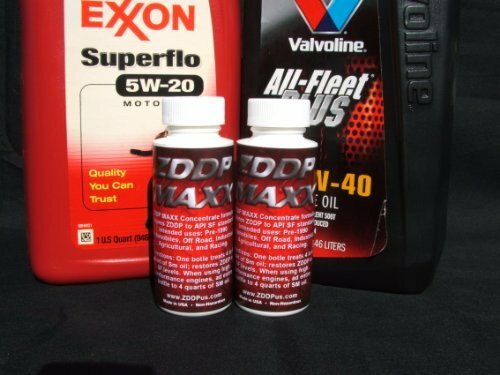 ZDDP MAXX is good for use on any engine size and is perfect for engines before 1990. According to the literature, ZDDP MAXX raises the SM oils Phosphorous to 1910ppm and traipses the Zinc to 2200ppm after 3000 miles. IN engines that are newer than 1990, the addition of roller lifters reduces and in fact eliminates the need for ZDDP additives. However, all older engines pre 1990, come without roller lifter and as such, you need a protective lubricating film to coat the lifters that rub against each other. This is where ZDDP comes into play. ZDDP MAXX meets all EPA standards and is a classic lubrication additive for all engines. You apply this product using a 2oz bottle added to every 4 to 6 quarts of any engine oil you use. This is a Pre-1990 engine product and should not be used on any engine after that date. In other words, this is a bespoke product for old cars, and for every year we move forward, so the year 1990 moves backward, and the cars get older and scarce. To apply ZDDP MAXX, use 8 oz to every 16 to 20 quarts of diesel engine oil. For gasoline vehicles, apply 8 oz to every 5 quarts of API SM Oils once every fourth oil change. BG MOA® is a chemical control additive that helps protect the engine by cleaning it and then preventing the formulation of grunge and residues. 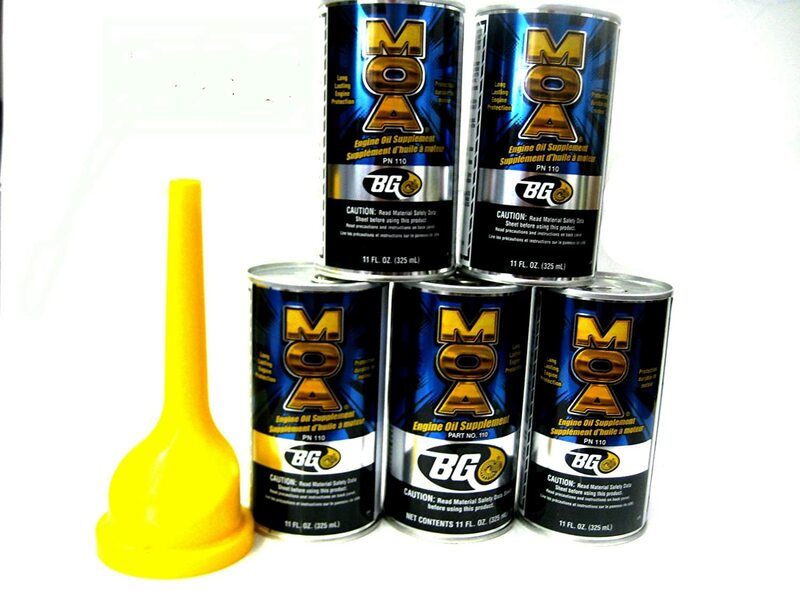 BG MOA® is one of the world’s leading brands as an oil additive for engine maintenance. This variant is used to prevent oil oxidation and eliminates the formation of gunk and other residual build ups. This product works wonders in the crankcase, oil screens, oil passages, and rocker arms and is claimed to fortify engine oil by adding anti-oxidation performance chemicals to the engine oil. Personally, I am a bit hesitant about this additive only because of the limited amount of literature out there. There is a lot of claiming and statements, but no scientific data to back up the claims. Oh, and it comes in a nice package, so shiny…just what you would expect in a Gym, let alone a Garage. OK, here is a surprise. If I hadn’t bought any and relied on the online literature, I would not know. Which is quite surprising when comparing to all the other brands. As such, without online application guides, BG MOA is a conundrum and best passed over. Against this argument is the fact that it is used by many, so it must work. As such, I bought a can, and guess what, you just add one can get to the engine oil compartment, and that’s it for 5,000 miles. Stiction; a modern word used to define when injectors fail, leading to build up of soot and creating black smoke. According to the literature, this product starts to work after 4,000 miles of application and is aimed to improve injector performance in diesel engines. As such, it reduces the need to replace faulty injectors by restoring 9 out of 10 “Failing” HEUI Injectors. This product essentially reduces the probability of stiction by 50% and thereby increases the overall performance and life of the engine and components. 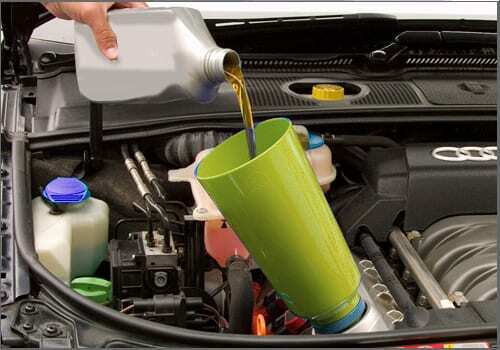 Treat your engine every 3 oil changes. For cars, use 16 oz of Hot Shot’s to every 4 to 6 quarts, and 8 ounces for every 3rd oil change. For Semis and pickups add 64 oz to every 11 to 20 quarts and again, 32 ounces at every oil change. For larger vehicles, the range is between 3 to 4 quarts per 21 to 45 quarts of engine oil, and 1.5 to 2 quarts per 3rd oil change. MoS2 is a proprietary chemical formulary for improving lubrication. This is their oil additive version used to coat surfaces before the operation. MoS2 lacquer is applied as a pre-treatment for gearwheels, racks, profiled shafts, and joints. It is also used as a lubrication additive for press fittings and as a treatment of workpieces and tools for metal forming and processing. MoS2 is applied using an aerosol or spray paint nozzle and can be diluted before use with acetone, ethyl acetate, methylethylketone, methyl isobutyl ketone, ethyl glycol acetate or isopropyl alcohol. When applying this to the engine components, you must take appropriate HS&S care as well as take appropriate curing time before sealing and operating. This is actually a coating and not an additive, and is applied to disassembled motor components or open cogs, hinges and moving mechanical surfaces for additional friction relief that goes beyond the addition of oil. In other words, you don’t pour this into the engine, you strip the motor parts, clean them and dry them and then spray coat them with this product. Sounds like fun. 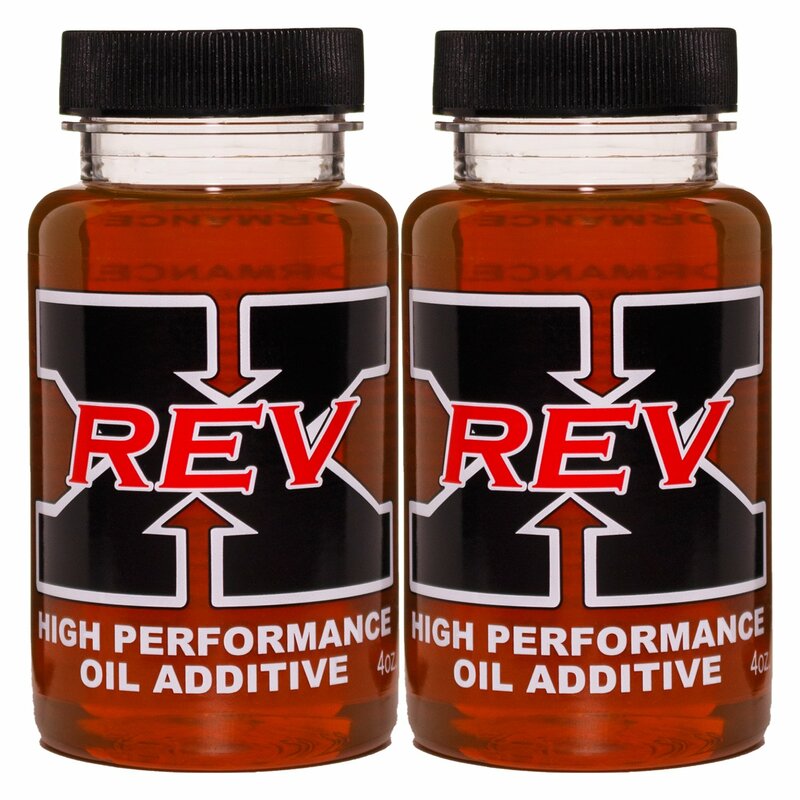 Revx oil additive is a lubricating formulation that uses EPA compliant chemicals to enhance engine lubrication performance. RevX is a diesel oil additive used to reduce stiction. It comes with safe non VOC additives and does not contain any harmful and dangerous chemical strippers. You add RevX to any type of lubrication application including Engine Oils, Gear Lubricants, Hydraulic Fluid and more. It is perfect for Diesel performance and does not contain any Moly, Teflon, Acids, Graphite or other harmful ingredients. Add 4 ounces of RevX to Diesel engines after the first oil change and after that add 8 ounces with every oil change. Bar’s Products Rislone Engine Treatment Concentrate is a chemical treatment formulation used to clean and prevent gunk buildups in your engine. Rislone engine treatment is a special formulation additive for high-mileage vehicles. This product is added to remove the buildup of graphite gunk and improve the overall performance of the engine. The effects are felt over longer distances and thereby reduces fuel waste. This product also improves the lubricity of the oil, and as such, is designed to penetrate valve seats, bearing surfaces, piston rings, and ring grooves. Once it has reached all these locations, it will remove the sludge build-ups and act as a sludge inhibitor too. You add one 16.9 oz., a bottle of Rislone Engine Treatment Concentrate to treat 4 to 6 quarts of oil. For larger engines, use 1 bottle for every 5 quarts of oil. If your engine is severely dirty, apply 2 bottles of Rislone Engine Treatment Concentrate, also change the oil and filter after 100 miles of driving. What is the best oil additive to stop engine knocking? Engine knocking is caused by a number of reasons including bad air to fuel mixture causing the ignition or injection to fire badly. The other reason could be from badly lubricated engines that can cause cylinder head friction leading to a harsh knocking sound. Other causes can be lifters and valves that are not properly lubricated. The older the engine, the more chances of knocking. ider that applying an additive to a knocking engine is like treating a congested artery with Advil. It might reduce the pain (Sound) but won’t get rid of the symptoms (cause). When combatting knocking, apart from a general overhaul that can cost a fortune, the addition of specific oil additives that improve lubricity, viscosity and also clean the engine out of gunk, will all act together to remove the knocking a pinging sounds of an unhealthy engine. Some of the best additives were mentioned in the above list, and these include Lucas, Liqui Moli, BG MOA, and RevX. However, I recommend you take your vehicle in for inspection find out the reason for the knocking and don’t just muffle it away with an additive. Liqui Moly oil is applied to bare metal surfaces that are free from grease and must be dry for the product to be effective. To achieve optimum performance from Liquid Moly, you should lightly roughen the metal surfaces through sandblasting, lightly grinding with emery, or by pickling or phosphating. You then apply the Liqui Moly using an aerosol or paint spray gun set at 2/3 bar with a 0.8 mm nozzle. You can also use a brush, but remember the best film coating should range between 5-15 µm. Liqui Moly can be diluted with acetone, ethyl acetate, methylethylketone, methyl isobutyl ketone, ethyl glycol acetate or isopropyl alcohol. These application aids will dry at different rates, so make sure you wait the appropriate time. Also, remember that VOC’s are, as the name suggests, volatile, so take the appropriate health and safety precautions. Lucas oil stabilizer should be used at a rate of 20% Lucas to 80% oil. 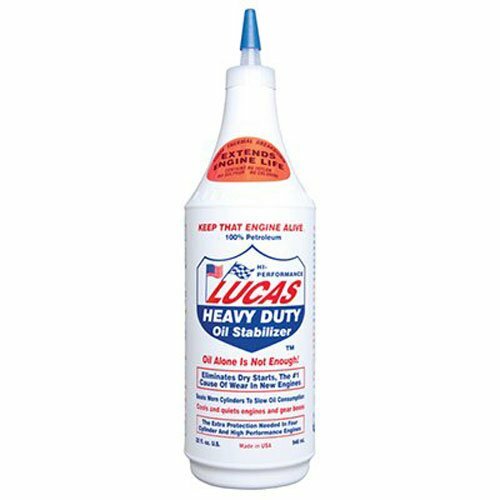 For optimum performance, you should apply Lucas with every oil change. When using Lucas at every oil change, you will enhance your engine’s performance and reduce fuel consumption while enhancing the engine oils attributes. Oil pressure has nothing to do with additives; it has to do with engine performance based on engine components that are relieving internal pressure through performance or leaks in seals or where components meet. What this means is that any oil additive you use will not increase the oil pressure, it might in the most extreme case, seal some of the leak sources momentarily, but that is like applying a plaster to a chopped off a limb. If you need to momentarily improve the performance of your engine by raising internal pressure through patchwork, just to get to the garage, then use a high viscous oil, add an oil additive that raises viscosity, and perhaps an oil additive formulated to help seal oil seals. ider that most oil additives do not work immediately and that they are either viscosity, lubricity or cleaning solutions, and you realize that there is no solution to low oil pressure other than visiting your garage immediately and dealing with the engine fault. Remember if your oil gauge points to low pressure, it might also come with smoking exhaust, backfires, engines overheating and such. These are sure signs of leaks that can be faulty gaskets, warped heads or worse. The bottom line is that no oil additive will raise your oil pressure and an additive that claims this is a BS liar, and you should stay clear of such oil. This means that 90% of all oil additive sites are to be ignored and only by those that do not claim things that oil additives cannot provide. One final word on this subject. Oil additives that change the viscosity of the oil will change the pressure of operation due to the different viscosity levels, the same goes for lubricity, but they are not mechanical changes that provide substantial and continuous pressure changes. These are momentary improvements that take time to build up and disappear extremely fast as the oil additive loses its effectivity. However that’s a load of BS, no oil additive will increase compression, and as such, Restore is no better than any other additive, perhaps worse, since it claims to do something it cannot. Bottom line is this, stay clear of restore or any other company that claims it has a cure for everything. What is a good oil additive for diesel engines? Diesel engines do provide better fuel consumption ratios (MPG’) when compared to gasoline, but this fuel saving comes at a price. Diesel engines are dirty, noisy and in most cases smelly too. They are notorious for poor ignition in cold weather and are sluggish to drive under certain conditions. With this, diesel engines can be improved, and one way to improve a diesel engine is by using better oils. Since high-grade diesel oil does protect the engine and can deliver a quieter, cleaner and less smelly performance, these don’t last long as the oil becomes old. As such, oil additives in a diesel engine are proven to provide some advantages. From the above list, RevX and BestLine are the best oil additives for Diesel engines. Is there an oil additive to stop leaks? Engine oil leaks are a common issue. When the oil leak is from a seal or a metal on metal moving part, oil will eventually find a way to dribble through. As such, there are a number of solutions that include changing seals and gaskets to reaching parts, replacing parts and buying a new car. You can, of course, take a different route, and this includes the use of an oil additive that focuses on sealing certain leaks. These products basically work on oil seals by filing them with particulates that are present in the additive and thereby assuring that the seal cracks and pores are filled. Take into account that there are different stop-leak products that vary from homemade brews including pepper and cinnamon, and even eggs to Nano-molecule fibers that create a mesh that solidifies with the first heat. Now consider that there is no absolute stop leak additive that can be used for a permanent solution, even if the manufacturer claims so. With all the scientific humbug they present in fanciful marketing packages, the bottom line is that leaks require replacing parts. An additive might be great as a first aid plaster, but you need to get your engine into the mechanic shop ASAP to ascertain where the leak is coming from and how bad it is. Is there an additive to stop oil burning? Straightforward, you cannot stop a combustible material from burring by adding something to it. If you do add something that makes it nonvolatile you are changing it from what it is to something else, and that means it longer performs as indicated. All mineral oils burn, some synthetics have much more resting characteristics, but essentially they all burn when placed in a hot environment. Additives might raise the temperature levels that oils work within, to improve viscosity, but they do not eliminate the basic properties of the oil. In regards to smoking, some additives will raise the oil burn temperature slightly that might reduce some of the smoking, but essentially this is just like applying a plaster to a shotgun wound. If your engine is overheating, don’t waste time, visit your mechanic immediately and find the cause and treat it properly, just as you would expect to be treated from that shotgun wound. While both claims to work wonders, Lucas is careful not to exaggerate, while Restore is just out there peddling the one cure for all BS, claiming it is the “only”…yup, we believe you. Bottom line, they are actually very similar, but Lucas is better when comparing overall performance over time, based on over 1,000 customer reviews. MMO has been around since 1923 and is a solid oil additive with nearly a century of performance. It does what it claims. Lucas, the British brand also has some good products and is a very close competitor with MMO. Essentially, MMO and Lucas provide excellent performance results without trying to exaggerate their importance, which grants both of them credibility. Either one is a good choice. Both are Liqui Moly products, MoS2 is a Molybdenum-Disulfide Low-Friction SAE 10W40 engine oil. This is hybrid engine oil that is made using mineral and synthetic base oils. MoS2 comes with a high additive content that includes their solid lubricant molybdenum disulfide (MoS2) particulates which guarantees optimum lubricating action in every condition including extreme running with long periods between oil changes. While Ceratec is a high-tech ceramic wear protection product formulated to be used with all motor oils. According to the literature, Ceratec reduces friction and wears using ceramic compounds that withstand extremely high chemical and thermal loads. This formulation prevents direct metal-to-metal contact, reducing the friction that leads to improved fuel consumption in gasoline and diesel engines. Both products are similar, there are pros and cons for both, and they are more subjective than objective. It’s all a matter of considering which alternative you prefer based on direct results to your engine. There is no way to know until you test them both personally. This is another draw, since the two products are essentially similar, as are most of the additives on the market. It’s a tie when it comes to hyper lube and Lucas. The only difference is that Hyper Lube was formulated in the 1950s by speedboat enthusiasts, and Lucas started out in 1989 by a trucker and wife team. The bottom line is that both are equally accepted on the market, and you will find a decent product from both sources, it’s more subjective (as I stated before). BG MOA and Lucas, again another similar comparison, they are again very similar when the same application is used. The main difference is the price, where BG is nearly double the price of Lucas. In my opinion, the price factor is all that counts here when both are similar products, as such, Lucas wins hands down.